Oslo is the most important city in Norway, it is not only the capital, it is also the most populous city. 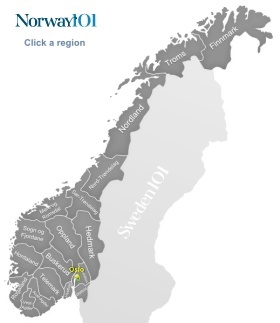 Oslo also is its own region and municipality. For most visitors, Oslo is the starting point for their exploration of Norway. Thanks to the excellent transport system within Oslo, exploring the city and surrounding region is easy as child's play. Oslo is one of the biggest capitals in the world when you merely look at the area it covers (a bit over 450 square kilometers). Most of that area, however, is not really the city, but consists of big forests, so you'll also never have a problem with getting out of the city and into a forest if you have enough of all the culture, art, and history. The history of Oslo is a history of wars and losses (mainly through fires), but also a history of endurance and hope. While the village with the name of Oslo existed since 1048, that village was not exactly where modern day Oslo can be found. The city became the capital of Norway in 1300, but lost that status from 1348 to 1814 (because of the Danish-Norwegian union). As if that wasn't enough, a big fire in the year 1624 burnt down most of the city, and the Norwegians decided that if they had to build a new city anyway, they might as well do so in a location that is strategically better. Oslo, which was then named Christiania, was relocated to a location further West. Some ruins of the old Oslo, that survived the fire, can still be seen at the mouth of the river. 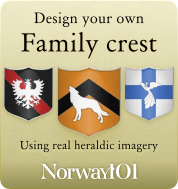 In the 19th century, Oslo spread quickly, and was renamed Oslo again. As the farms that surrounded the city were also absorbed into the city, you can today still make out some houses in the city that look more like farm houses than like proper city houses. While the city of Oslo does not have such a long history, archeological founds showed that people were living in the region of Oslo for well over 10,000 years. If you would like to learn more about the ships of the Vikings, then this museum should be one of the items on your list. The most interesting part of the museum (for most people) is the display of two really well preserved Viking ships (wooden, of course) that date back to the 9th century. There are also other boats from different parts of Norway on display, sometimes only parts of them. However, it is not only about the ships of the Vikings, but also about their tools, their textiles, and what kind of utensils they used in their houses. Overall, it is a very good museum to learn more about the life of the early people of Norway. Another stop on your tour to learn more about the Norwegian heritage is the excellent Norwegian-Folk-Museum. Apart from 155 traditional houses (that came from different parts of Norway when the museum was put together), there also is a Stave Church that dates back to 1200. The museum teaches you about Vikings, the Sami culture, how traditional weapons were made, what kind of toys children played with hundreds and hundreds of years ago, and how the garments in Norway changed over time. If you happen to go to this museum (it's actually more suitable to call it an experience) during the summer months, then you can also take part in some very interesting activities like horse riding and folk dancing. While the Emanuel Vigeland Museum is not exactly a main tourist attraction, it's worth a visit because it is different from other museums. The building was constructed in 1926 by its namesake who originally wanted the building to be museum for art. He then, however, changed his mind, and transformed the building by walling up the windows – he wanted this to be his tomb. The dark main room of the building is an eerie experience. It is covered in frescoes, and the ambient lighting gives it a very interesting feel. It does not take long to explore this attraction, so try to fit it in. Another more modern attraction is the Nobel Peace Center in which you cannot only learn about the peace prize laureates, but you can also walk through a rather unusual garden with a thousand fiber-optic-lights. The visit of this is a must if you have an interest in the Nobel peace prize – which is, after all, quite important internationally. This is another voyage related museum, but it does not focus on the vikings but on the more modern explorations of world-famous Thor Heyerdahl (who died in 2002).